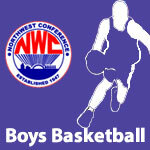 February 2018 – NWC-Sports.com | The Official Site of the Northwest Conference for nwc news, nwc scores and more. Crestview 6’7″ wing Javin Etzler was chosen as the 2017-18 NWC Player of the Year by Northwest Conference boys’ basketball coaches at the annual selection meeting Monday evening in Delphos. Etzler received 115 total points to finish ahead of Chayten Overholt, a guard from Lincolnview. Etzler averaged 15.2 points per game along with 7 rebounds and 2.3 assists per game for the Knights and was also a first team selection last year. Etzler and Overholt were joined on the NWC first team by Derek Stout (CV), Caden Ringwald (LV), Alex Rode (DJ) and Blake Reynolds (CG). Overholt, Stout, Ringwald and Rode are seniors while Etzler is a junior and Reynolds is a freshman. Coach of the Year honors in the NWC go to Jeremy Best of Crestview. He led the Knights to an 8-0 conference mark and a regular season record of 19-3. This year’s conference championship was the 17th NWC title in school history for the Knights and the first since the 2013-14 season. Crestview senior forward Paige Motycka was selected as the 2017-18 NWC Player of the Year in voting by Northwest Conference girls basketball coaches. Motycka edged out senior Carlee McCluer of Columbus Grove in a close vote. Last year’s player of the year, Paige Bellman (CG) was awarded an “Honorary Player of the Year” award by the league coaches as she missed her senior season due to injury. Motycka averaged 16.3 points and 7.1 rebounds per game in leading the Knights to an 16-6 regular season record. Crestview finished league play tied for second with Bluffton and Spencerville. 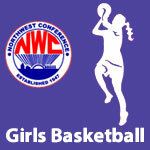 Joining Motycka and McCluer on the NWC First Team were junior Alivia Koenig (BL), senior Lauren Schroeder (CG), sophomore Lexi Gregory (CV) and junior Avery Rumer (BL). Motycka and Koening were repeat first team selections from last year. Brian Schroeder, who led Columbus Grove (8-0) to the school’s third consecutive NWC girls basketball title was selected as the NWC Coach of the Year. 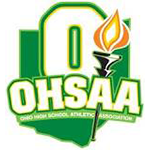 NWC had no schools ranked in the final weekly 2018 AP Ohio Boys Basketball State Poll.